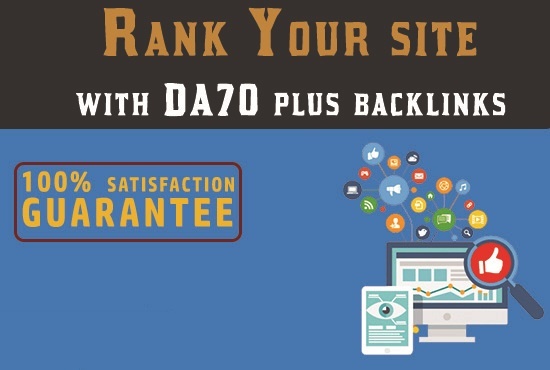 In this service you will get high authority backlinks on DA50 to DA90 sites. which will really help to rank your site in google and any search engine. Backlinks will be on mix platforms like blog post and article and web 2.0 sites. Work will be 100% relevant and if you want to use your own article content then you can provide your article to use.